Additional sample pages available here. 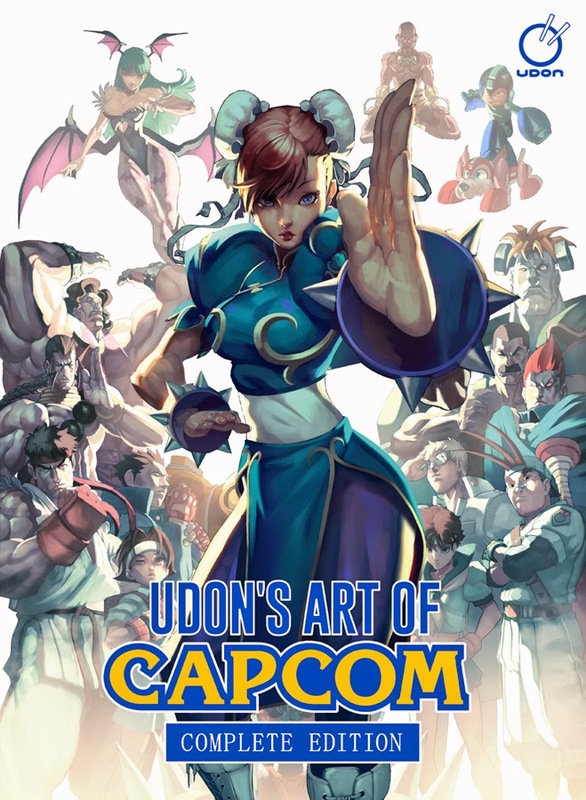 UDON’s Art of Capcom: Complete Edition gathers more than 80 UDON artists’ renditions of the cast of Street Fighter, Darkstalkers, Rival Schools, Mega Man, Strider, and other classic Capcom franchises. Included are comic covers, toy designs, video game sprites, game box art, tribute art, and much more! Exclusive to Comic-Con International: San Diego, UDON artist Joe Ng has illustrated an amazing wrap-around dust jacket that touches on the entire Capcom universe! Created in homage to Capcom artist Kinu Nishimura’s Capcom Design Works covers, this dust jacket is sure to be a favourite of Capcom fans old and new! Available at Comic-Con this July, months before the regular edition ships this fall! - Includes all of the artwork from UDON’s Art of Capcom Volume 1 and 2! - Over 75 pages of brand new material not included in previous editions! - Includes material from video games Capcom Fighting Evolution, Super Street Fighter II HD Remix, Tatsunoko VS Capcom, and Marvel VS Capcom (series). - Massive, 600+ page hardcover tome! - Comic art, toy designs, sprite artwork, game box art, tribute pieces, and so much more! 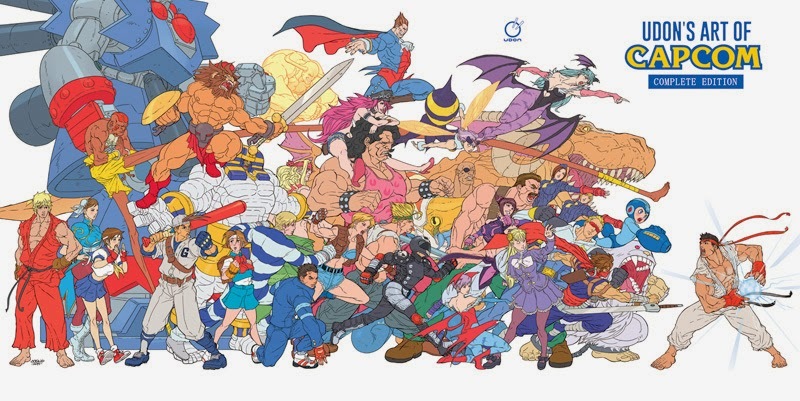 - A monument to UDON and Capcom’s decade-long partnership in creating amazing artwork! So we’ll see you at Comic-Con Preview Night, Wednesday July 23rd, so you can get your hands on the very first copies of UDON’S ART OF CAPCOM: COMPLETE EDITION – COMIC-CON EXCLUSIVE DUST JACKET EDITION! Seeing new art always makes me feel more inclined to buy books like this, even though I am not really a fan of other Capcom titles. Still, I am really considering getting this book just to see the amazing artwork. First off the hell with this undoubtedly mostly Capcom fighting game artbook with cameos of Sir Arthur with Jill, Chris, Clare and maybe Leon with shoutouts to DMC and Monster Hunter and hints that Mega Man characters exists but only if they have appeared in a fighting game. Second what the hell Ryu, you need to chill. They have to single Ryu out. Can't not push Street Fighter. Confirmed for 2016: "Ryu vs. Capcom". With 12 different Ryus! 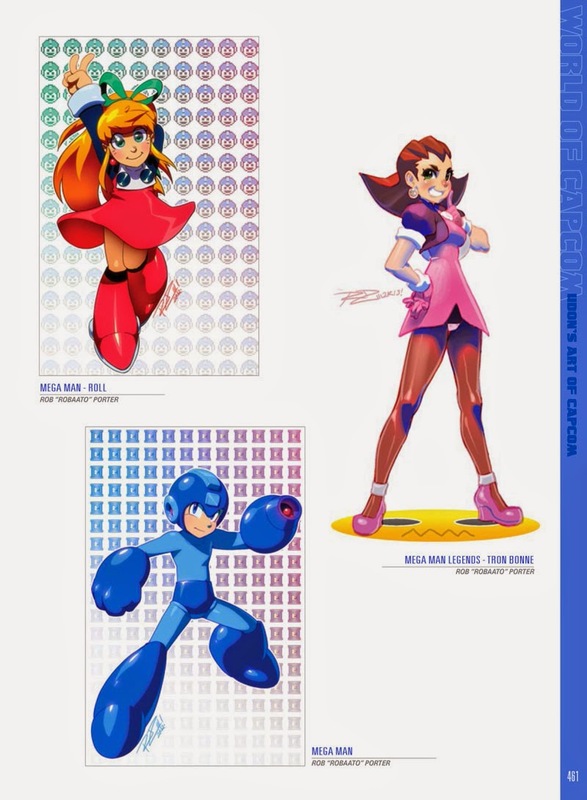 I was not impressed with the first Art of Capcom book, at least in regards to Mega Man. I could count the number of pages where the series appeared with one hand. There's probably more in this edition, but I would suggest looking at it before you buy if that's all you're interested in.